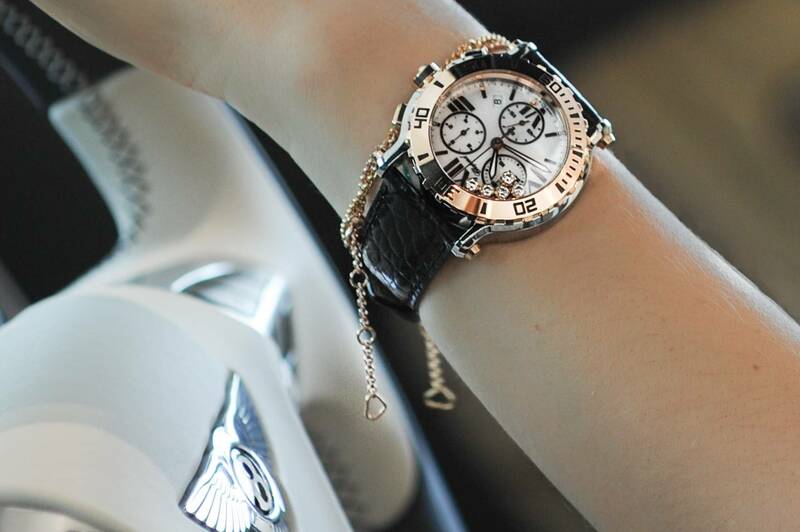 Recently, I had a collaboration with Chopard and Bentley. I was more than happy to make one of my first blog posts with such amazing brands! The Chopard Happy Diamonds watch made me feel free spirited and the same time elegant because of the unset diamonds inside that dance around so cheerfully. It feels like this iconic timepiece adds a new dimension to time. I always like to prepare before photo shoots. I read and review photos to find more than I already know about the brand. It is always much more interesting when I can imagine the true story behind the company. This Iconic Company with more than 150-years of history is a family-owned business and it gives them certain freedom and independence in their processes. In 2014, they started the family’s most ambitious project yet: to use ethically sourced gold in watches and jewelry.